For the first few years of my teaching career, I would set revision lessons without much expectation. If you were going to do a test, you should at least give some chance of success by providing the lesson before for ‘revision’. I would often provide a list of suggested activities that students could pick from: posters, mindmaps, crosswords, flashcards, highlighting. In the mid-2000s, I may have even suggested students pick something that matched their preferred Learning Style: visual (comic), auditory (write a rap) or kinesthetic (act it out). I now know these were all lessons of totally wasted opportunities for learning. On 7 September 2013, I attended the first ever ResearchEd inspired by some of the people I followed on Twitter. Eight years after starting to teach, I felt as though I was finally starting to find out how students actually learn. I recently delivered a session to sixth form students on the Cornell note taking system, and provided a little insight into effective revision, backed up by some key pieces of research. My affirmation came from a colleague who said, “It’s taken me 28 years of teaching to realise all of this – and you (the students) have just been given it all in less than 10 minutes”. The new GCSE and A Level syllabuses have forced teachers to take revision far more seriously. Week 2 with my current Year 10 students and they asked what the homework was – “Revision”. They asked if they had a test coming up. I carefully explained to them that the sheer volume of material they needed to know meant that revision needed to be an ongoing process that began with the second week of the course. Many subjects, like my own, Religious Studies, do not get progressively difficult. The standard of material at both GCSE and A-Level is generally equally difficult. The challenge is the ever increasing volume. This graph shows the rates of ‘forgetting’. 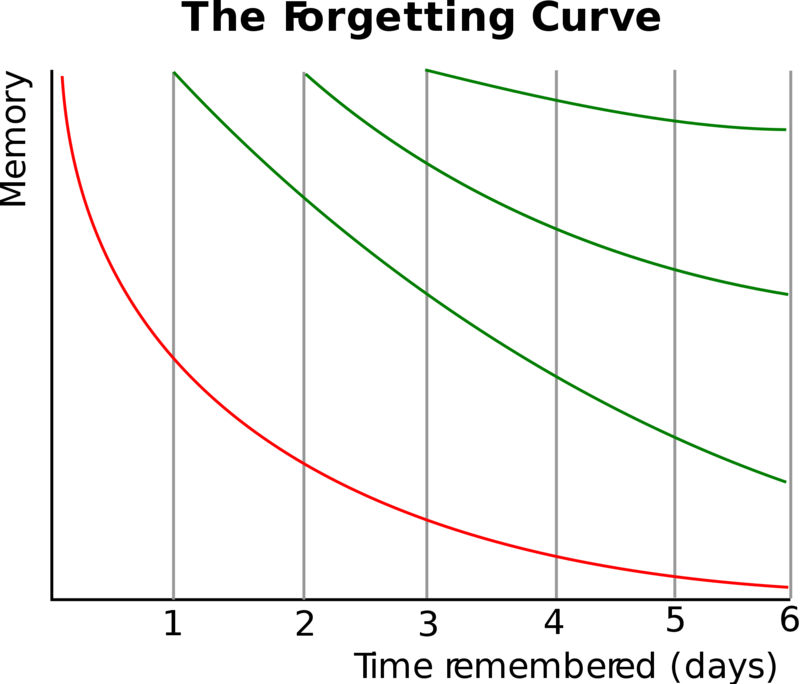 The red line indicates the drop off from the initial lesson or period of studying. If that content is re-studied, you can see the drop off is far more gradual. In this graph, studying for the 4th time, over a period of time, means there is minimal ‘forgetting’. Despite being well over 100 years old, this advice is still useful. 2013 saw the publication of one of the most important pieces of research on student learning, entitled: “Improving Students’ Learning With Effective Learning Techniques: Promising Directions From Cognitive and Educational Psychology” by John Dunlosky, Katherine A. Rawson, Elizabeth J. Marsh, Mitchell J. Nathan and Daniel T. Willingham. It is more accessible in an article written by John Dunlosky called ‘Strengthening the Teacher Toolbox: Strengthening Strategies to Boost Learning or ‘What Works What Doesn’t’ by Dunlosky et al. NB it is worth reading further into the research as keyword mnemonics can be useful for purely factual information and image use can be used well when attempting dual coding. Regular ‘low stakes’ testing – usually weekly in class or via GoogleForms. Rarely do I record results, but students do. Year 11 and Year 13 homework is largely revisiting Year 10 and Year 12 topics. End of Unit tests for GCSE are a mixture of all topics studied to date, rather than the unit just completed. Units are carefully sequenced mixing up different elements from the specification I teach rather than studying one whole paper, followed by the next, and then the next. Cornell note taking implemented for A Level students with links to topics highlighted in the cue column and students revisiting summary boxes on a weekly basis. Spaced Practice: Space out studying and revision over the longest time possible. Retrieval practice: Practice recalling information – don’t allow notes or revision guides straight away. Elaboration: Why? Explaining and describing ideas with as much detail as possible, linking to other topics and areas of study. Interleaving: Break topics into smaller chunks and then switch between them up in a revision schedule. Concrete Examples: Ensure specific and clear examples are used to show understanding of complex ideas. Dual Coding: Put words and visuals together to help learn things in slightly different ways: infographics, timelines, cartoons, diagrams etc. Additionally, our brains can be very good at convincing us that we know things that we don’t actually know that well… and the only way to find out is by testing! Some are surprised that the best way to learn, is actually by testing a lot. I suggest this method to students in a “revision power hour”. Remember to schedule an exam question on Topic B for next week! 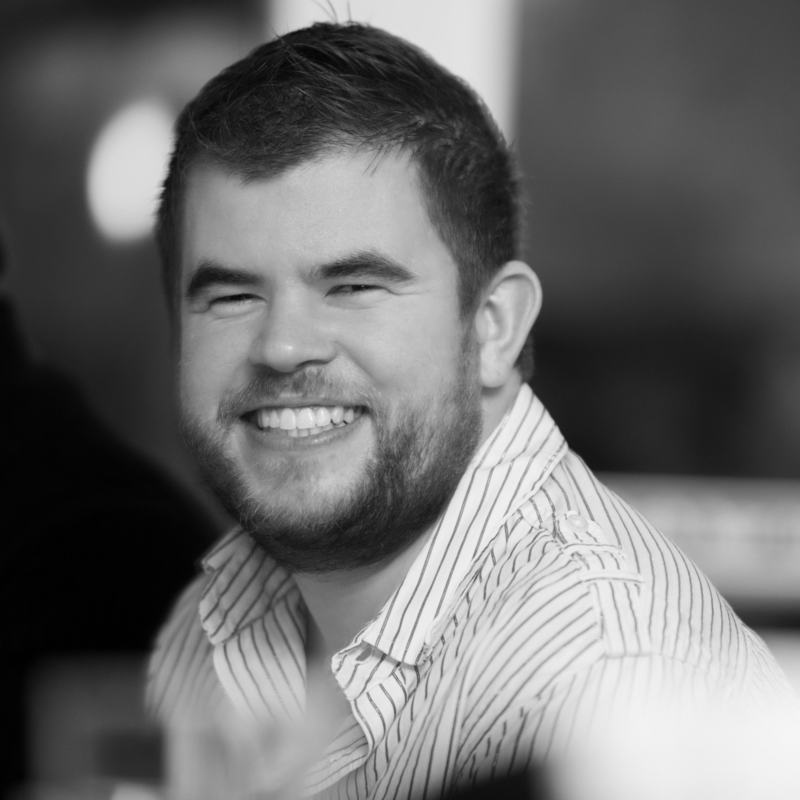 Andy Lewis is am Assistant Head Teacher and Director of RE at Bonaventure’s Catholic school in East London. He is the author of a number of books, including GCSE Religious Studies for Edexcel A (9-1): Catholic Christianity with Islam and Judaism Revision Guide (publishing in 2018), regular blogger and expert speaker at a range of regional and national teaching events.